The Sydney Opera House was recently awarded a 4 Star Green Star Performance rating by the Green Building Council of Australia (GBCA), putting the national icon among a select few World Heritage buildings that have achieved green certification globally. The announcement was made jointly by NSW Deputy Premier and Minister for the Arts Troy Grant, Sydney Opera House Building Director Greg McTaggart, and GBCA Chief Executive Officer Romilly Madew on stage in the Concert Hall - a key venue in the Opera House's sustainability strategy. The 4 Star Green Star rating, awarded for 'best practice' in the industry, is an extraordinary achievement for a heritage building. It will also be critical to the Opera House's Decade of Renewal, a sequenced program of works to update the world-renowned performing arts centre for 21st century audiences, artists and visitors. NSW Deputy Premier and Minister for the Arts Troy Grant said, "The Opera House is an icon of Sydney and a symbol of modern Australia so it's vital that it sets the standard. The endorsement of the Opera House by the GBCA sends a clear message that green buildings don't have to be new - even the most recognisable and historic landmarks can earn a place among the most celebrated sustainable buildings in the world. "CEO of the Green Building Council of Australia Romilly Madew said, "About 340 million square metres of commercial and public building space in Australia needs upgrading. Despite the operating costs amounting to around $27 billion a year, the general consensus has been that it's 'too hard' to improve the sustainability of these buildings. 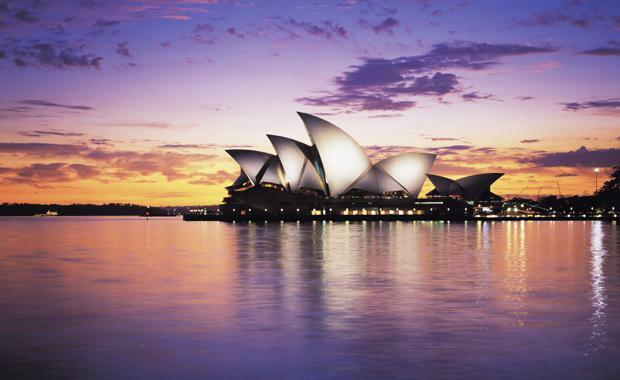 The Sydney Opera House has laid down the gauntlet for the property industry with a pragmatic, practical approach which shows even the most iconic, historic and challenging buildings can be high-performing, energy efficient and sustainable. If you can green the Opera House, you can green anything. "From the installation of new energy efficient technologies in key performance venues to the use of eco-friendly cleaning products and a robust Reconciliation Action Plan, a wide range of both environmental and social sustainability initiatives across three core areas have contributed to the Opera House's 4 star rating. Energy efficiency – At a time when the Opera House is putting on more performances and welcoming more visitors than ever before, energy usage has been reduced by more than 10 per cent over the past five years. This has been made possible through a range of lighting-retrofit and lighting-control projects including the award-winning Concert Hall lighting project unveiled last year. Sustainable heritage design – When designing the Opera House more than 40 years ago, Jørn Utzon was inspired by nature and integrated many features now recognised as pioneering sustainable design. A highly innovative seawater cooling system – considered ahead of its time – still powers the Opera House’s main heating and air-conditioning while an early interpretation of the ‘chilled ceiling’ design remains in the Drama Theatre today to help control the venue’s air temperature. Green cleaning – The development of a range of eco-friendly cleaning methods not only maintains the heritage value of the building but reduces its impact on the environment. This includes bicarbonate soda for cleaning concrete, olive oil for the bronze and ozone-treated water for disinfecting various areas. Indoor environmental quality – From theatres and rehearsal rooms to offices, bars and restaurants, different indoor environments are actively managed to ensure user comfort and wellbeing. For example, a temperature of exactly 22.5o C is maintained for the Sydney Symphony Orchestra’s musicians to enjoy optimum instrumental performance. Building user engagement – A dedicated Environmental Sustainability Manager actively engages staff and performers as well as on-site food and beverage operators and venue hirers in ways they can reduce their environmental impact. Operational waste management – There are systems to ensure the Opera House understands and tracks all building waste, with documented processes in place for its recycling and management. Monitoring & reporting – Everything from energy performance to water usage, waste management and paper usage is monitored and regularly reported to a range of stakeholders. Sustainable transport – The Opera House’s proximity to the Circular Quay hub has led to increased public transport usage. A shuttle bus between Circular Quay and the Opera House encourages less mobile patrons to take public transport. For this year’s Vivid LIVE festival fuel-efficient transport was also introduced for artist transfers where possible. The Opera House has a responsibility to make a difference to social as well as environmental sustainability with the aim of benefiting the community now and into the future. This includes the development of its Reconciliation Action Plan – the first by a performing arts centre in Australia – as well as the launch of its Access Strategic Plan (2013 – 2015), spearheaded by the Opera House's full time Accessibility Manager.